Features an easy-grip design. Made of translucent, durable plastic. 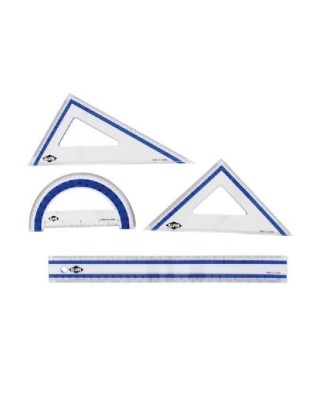 Includes 12" ruler, 5" 45°/90° triangle, 7" 30°/60° triangle, and a 6" protractor all graduated in English and Metric. Blistercarded.